Always available Huddle House menu prices. Huddle House is an American chain of 24-hour restaurants that serve breakfast, lunch or dinner all day. The menu offers a blend of Southern-inspired comfort foods including Big House breakfasts, favorites like Big Bold Burgers and Big House Sandwich Platters. Special menu items are offered year-round on a rotational basis. Each Huddle House location offers guests a welcoming atmosphere to get a freshly prepared home-style meal served with a smile. Below is the latest Huddle House menu with prices. Huddle Club is a members-only email club. By signing up, members receive exclusive meal discounts and the latest news about Huddle House. Sign up is quick and free and guests will receive a Free gift for joining. Huddle House is always on the look-out for dynamic individuals that want to work in an engaging environment while providing exceptional customer service. Visit the Career page on the official Huddle House website to learn about current openings and how to apply. The first Huddle House opened in April 1964 in Decatur, Georgia as a 24-hour diner by John Sparks. Huddle House began franchising in 1966. Today, there are over 400 locations of corporate-owned and franchised locations throughout the U.S. 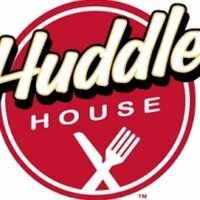 The Huddle House brand is privately owned by Sentinel Capital Partners and headquartered in Decatur, Georgia. Be sure to follow and connect with Huddle House through various social media platforms. For more information about Huddle House, visit their official website. I understand completely I went with my boyfriend and I did not even get a real meal that is listed, but only one biscuit and gravy with sausage and a waffle and he got a meal and waffle with a shake and a coffee and it was $31.54 I was like good lord we could have ate Mexican!